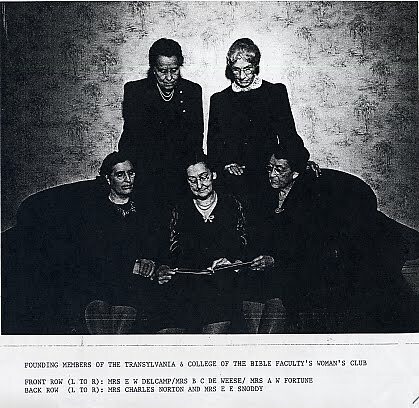 Since its creation in 1915 by a group of 10 women, the one thing that has been consistent throughout the Transylvania Women's Club's history is service to the University. One of their goals was to advance student welfare. Over its 100-year history, its members have done everything from helping with landscaping to making props and costumes for drama productions to bringing noted speakers such as Ellen Goodman and Shirley Chisholm to campus. Today, students are still a major focus of the club's activities, as is confirmed by the scholarships it provides to two Transy students each year, as well as other contributions to University programs.